Choosing fun activities that the whole family can enjoy is sometimes difficult. However, for a family to bond, it’s important sometimes for everyone to join in on an activity together. Getting outdoors is a great way to unwind and disconnect from the constant barrage of TV, video games, phones and tablets that keep so many families from interacting with each other as much as they should. 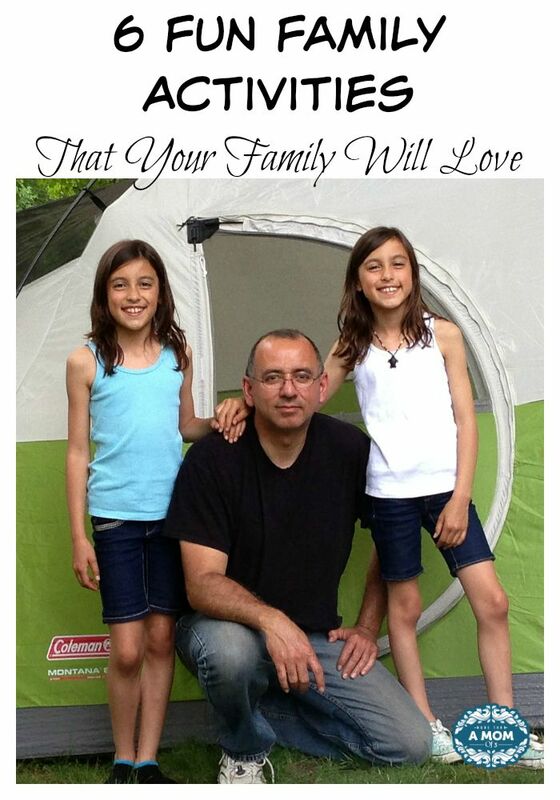 Going camping or hiking is fun, healthy, and a wonderful way to get kids more interested in the nature. Children of all ages can find something fun to do while camping or hiking, like taking pictures, fishing, cooking s’mores and much more. Disney movies have been present for generations of children now, and parents are sure to have some favorites that even their kids will love. Doing a movie night is fun, cheap, and a great way to connect as a family. Plus, children might find a new favorite movie that was the parents’ favorite when they were kids. Find some Disney quotes before watching a different movie to get everyone in the family excited about move night. Kids are too often left out of the loop when it comes to making meals. By having a night where everyone makes food together, kids get to learn about making food and parents get to enjoy the company and help of their children. At the end of preparation, everyone gets to sit down to enjoy a meal that they all had a hand in making. Kids also like projects, and there’s always something that can be done around the house. Instead of paying someone to do something simple that you could do yourself, enlist the help of your children to work with you on a project you’d like completed such as painting the deck, creating a garden, or anything else you can think of. Being active is incredibly important, and teaching kids good habits from a young age should be the goal of all parents. Playing a sport together keeps families active, but in a fun and competitive way. Teaching kids a sport and getting the whole family outside is a sure way to have fun and be healthy too. If you’re fortunate enough to live by the beach or a nice lake, plan to spend a day by the ocean or out on the lake with the whole family. Everyone enjoys a nice sunny day to play or read by the shore, and going out on the lake can mean fishing or even water sports like tubing which everyone can enjoy. Try out some of these ideas if you want to spend more time together with your family. It’s important to make sure the kids are just as engaged as the parents, and each of these family activities should keep them active in an enjoyable way. What are some of your families favorite activities?